Obstructive sleep apnea (OSA) is a condition of breathing pathology occurring during sleep, characterized by repeated episodes of upper airway obstruction. The aim of the study was to determine the occurrence of airway obstruction in smoking males with OSA in whom lung function tests had not been performed before. One hundred and four current smokers selected from 1241 patients were enrolled for the research. The subjects included in the study smoked minimum 20 cigarettes a day for at least 10 years. The diagnosis of OSA was confirmed by polysomnography (PSG) in the Sleep Laboratory and subjects were assigned to one of three groups, depending on the severity of OSA. The control group consisted of 30 age-matched male smokers in whom OSA was not confirmed in PSG. Patients from the study and control group scored ≥ 11points in the Epworth Sleepiness Scale. Spirometry, impulse oscillometry, and body plethysmography were used to assess pulmonary function. Airflow limitation in subjects of the control group and OSA patients was confirmed. There were no significant differences in the incidence of bronchial obstruction between the control and study groups, and among the patients of various OSA severity. 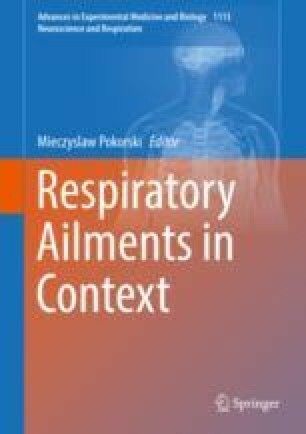 We conclude that the severity of OSA in smokers does not associate with the presence of airway obstruction. However, the increased peripheral respiratory resistance found in oscillometry did relate to a longer smoking time in OSA patients.